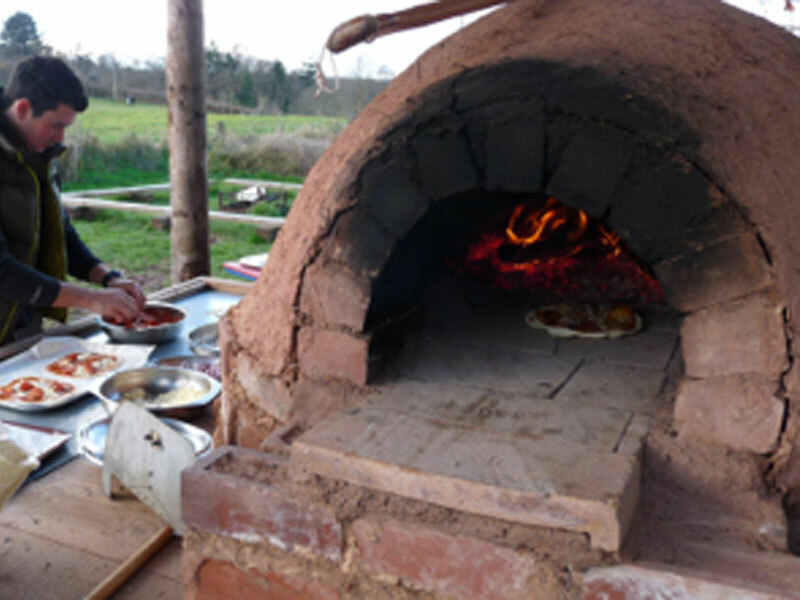 Earth ovens are a traditional home and community cooking resource. 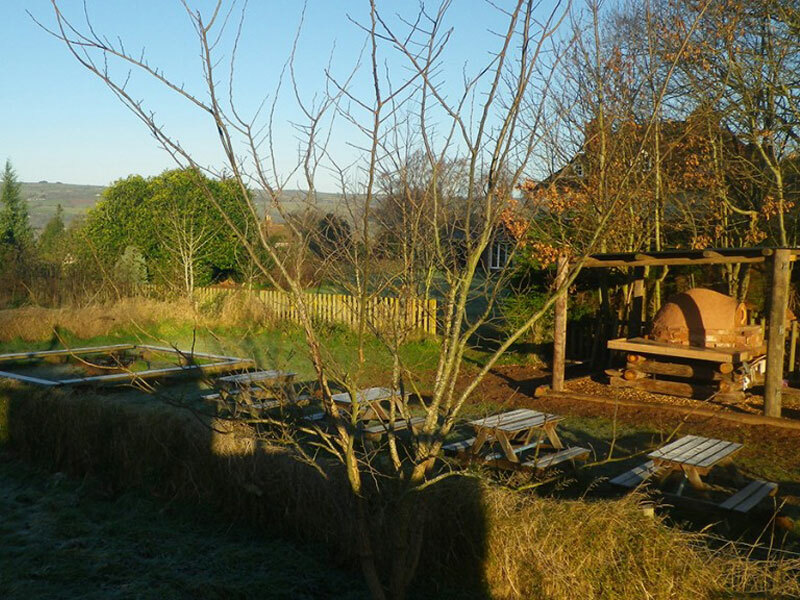 Trewern’s oven, built in 2012, has been used by many of our visitors for making delicious pizzas. 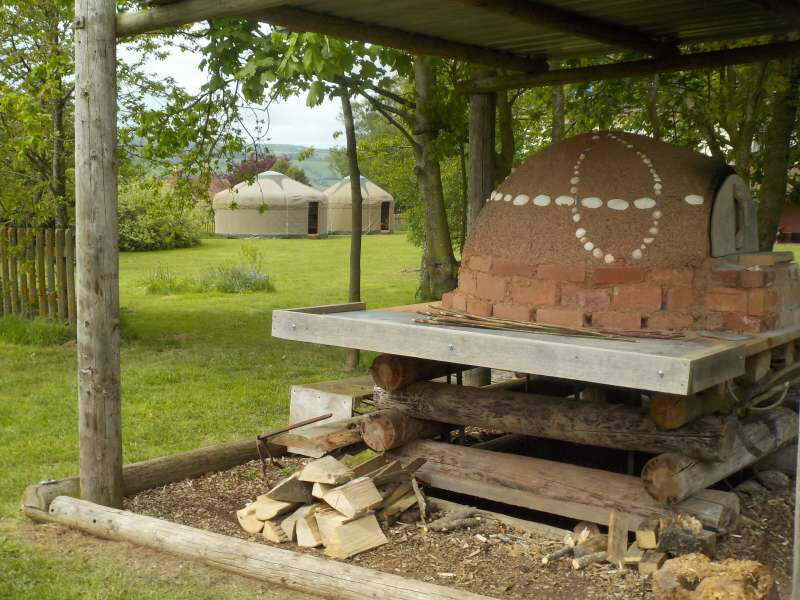 The oven is a completely self-supporting dome structure. 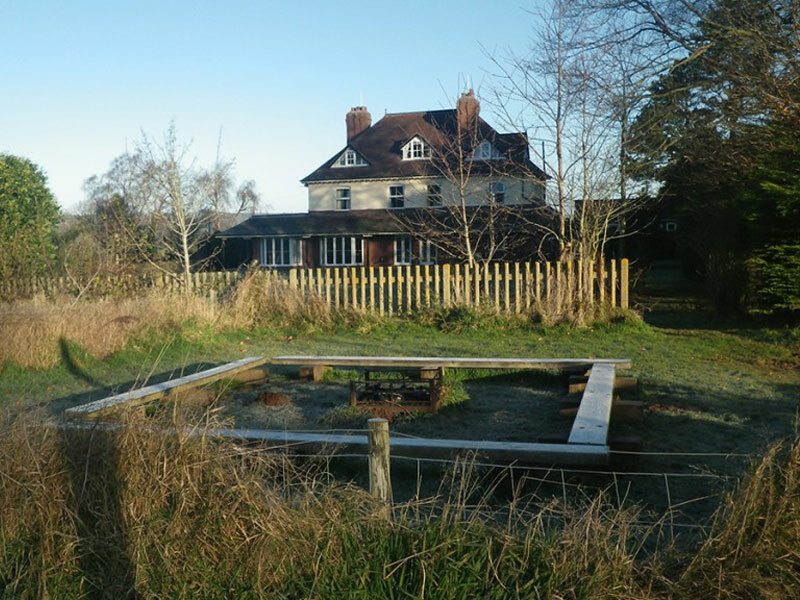 To construct it, a foundation of insulating materials was topped with a floor of fire bricks. A sand-form was then built on the bricks and clay layered over this. The fire pit is great for enjoying a ‘mellow evening’ with friends. A favourite with many of our younger visitors too, for cooking dampers or toasting marshmallows.